I’m pretty excited because I inherited Jah’s old laptop and Chris got it all set up for me over the weekend. Now I’ll be able to pop into a coffee shop to write my blog posts (hopefully with a little more frequency) whenever I feel like a change of scenery. The laptop even has Photoshop installed so I can do all of my photo editing and monster doodles when I’m out as well. Today’s post of Avocado Salsa has been brought to you by welcome secondhand technology! Sometimes you just know when a recipe is good, and this time it was because I made it four days in a row and everyone still loved it. The first time I made this it was simply an experiment – something I needed to throw together in a very short period of time to get dinner on the table quickly. It was well received and requested for dinner again the following night. Once I decided that Avocado Salsa was worthy of its own post, I needed to make it yet another time to get photos… then the battery managed to fall out of my camera, losing most of the pics from the shoot. That of course meant I needed to make it a fourth time, to ensure I had enough shots to share with my readers. I figured I’d take the opportunity to change the mood as well, which is why this photo is dark but the ones from the second session photos are bright. I appreciate both sets in different ways. Each night we ate the salsa a little bit differently than the last. Day one was on vegetarian chicken fajitas, day two was dolloped over the top of black bean soup, day three was spooned over nachos with queso, and day four was rolled up into soft tacos. Then of course we’d just dip tortilla chips straight into it as well. 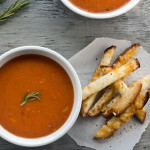 I love it when a recipe this simple has so many uses. A satisfying southwestern dip with avocado, cherry tomatoes, and cumin. Combine tomato, onion, jalapeno, olive oil, salt, cumin, and garlic powder in a medium sized bowl. Stir well to combine. While the tomatoes are releasing their tasty juices, you can chop up the avocado and cilantro. Gently toss them with the tomato mixture and fresh lime juice. If anyone you know is susceptible to indigestion, cooking the onions first will make them very happy - plus it tastes delicious! I broil or grill my onion in the oven before dicing it up if I know I have an onion-sensitive friend eating over. 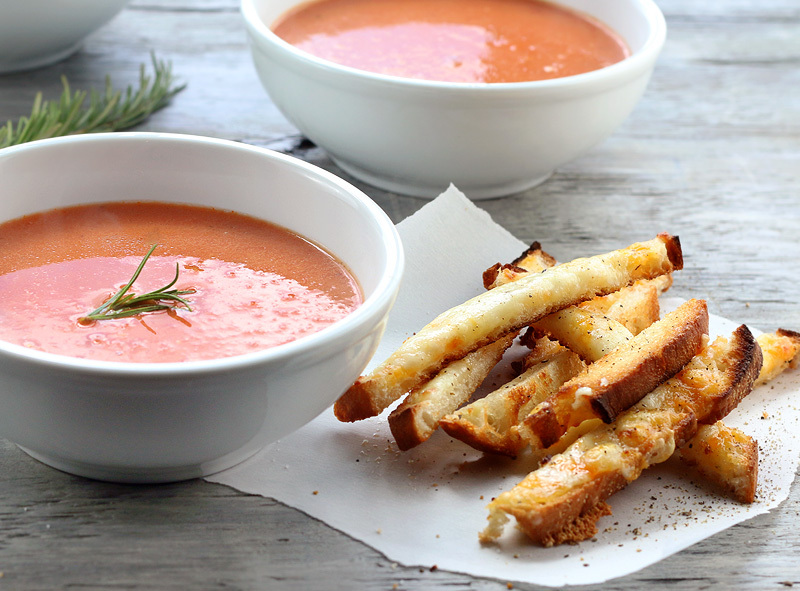 Few dishes are more comforting than a piping hot bowl of soup during the chilly months. 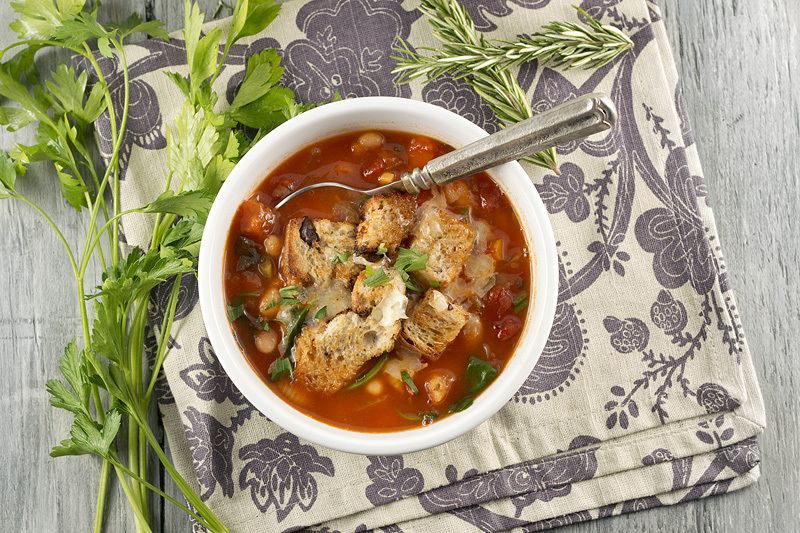 I love making soups and stews; not only are they almost completely foolproof, they are also easily customizable. Whatever leftover veggies are in the fridge can be tossed into a pot and transformed into a hearty meal – it’s awesome. 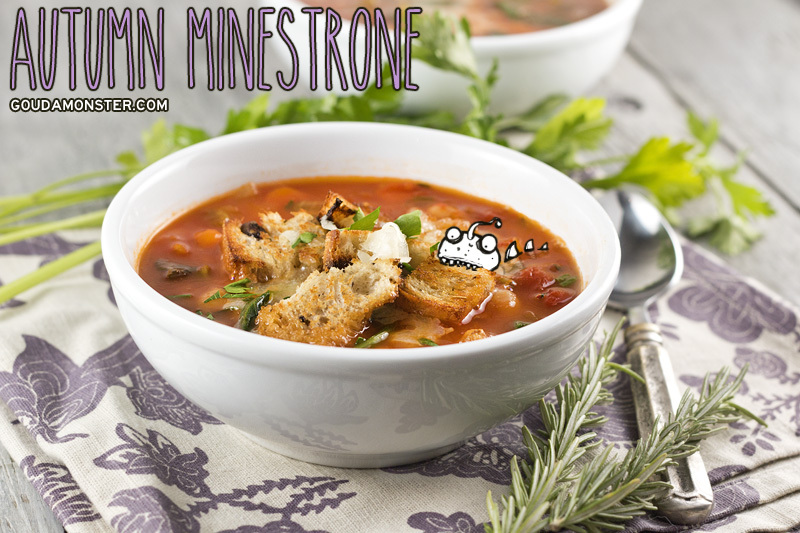 For this minestrone I used Pomi brand boxed tomatoes because I love the flavor as well as the fact that they are not cooked with salt. One box of Pomi tomatoes is about the same as two 14oz cans, and you can substitute accordingly. 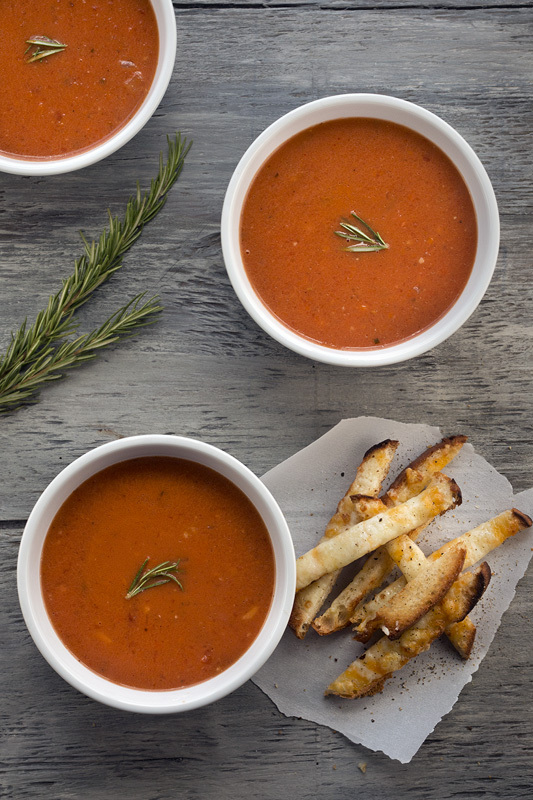 Keep in mind that you may want to tweak the salt in the recipe if your canned tomatoes contain sodium. Also feel free to use more pasta. I choose to go fairly light to focus on the vegetables and keep the calorie count low. 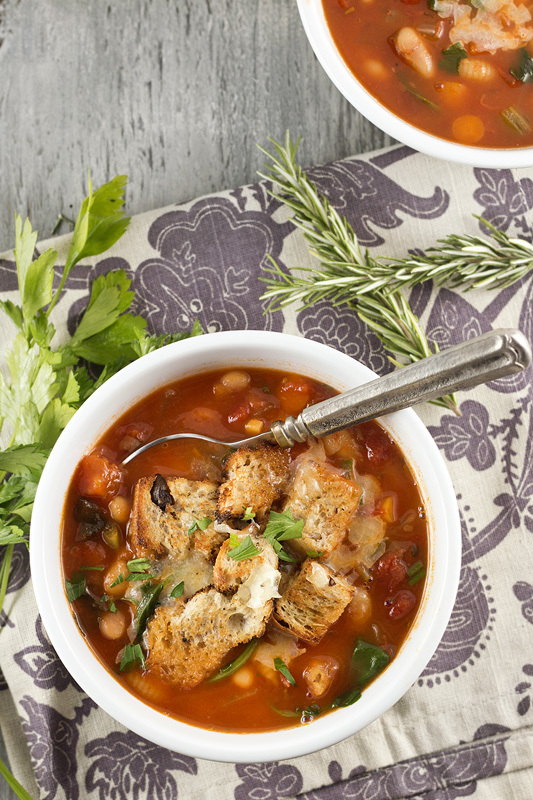 A warm, comforting soup that is full of vegetables and low in calories. In a deep soup pan heat olive oil on medium high heat. Add onion, celery, and carrots and cook until onions are slightly translucent – about 4-5 minutes. Add garlic and cook another 2-3 minutes. Add stock, tomatoes, and all of your seasonings. 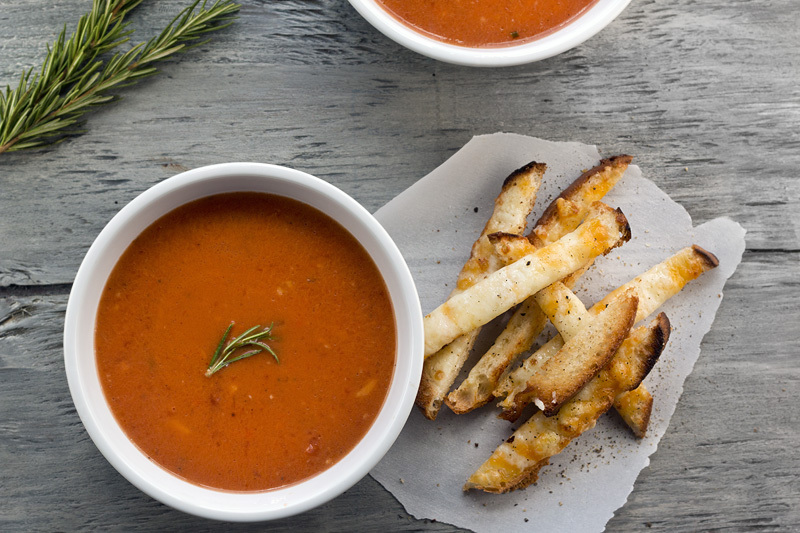 Bring soup just to boiling, reduce heat to medium-low, cover and simmer for about 20 minutes. Add pasta and kale, cooking for another 10-12 minutes (or however long your pasta needs to cook based on package instructions). Just before serving stir in fresh parsley. Cut olive bread into 1 inch pieces and toss with a small amount of olive oil to coat. Spread onto a nonstick baking sheet and put into a 400F oven for about 15 minutes or until the croutons are dry and crunchy. My favorite salad in the history of EVER. We had friends over one night and I had to make this salad because it is one of my go-to recipes for dinner party type situations. I’m not really classy enough for a dinner party but I can do a dinner party type situation alright. This salad is amazing because it’s so easy to make with just a few ingredients, and it’s simple to double or triple depending on how many people you are serving. Or how much the people you are serving love tomatoes, because if you love tomatoes you’ll want to eat a ton of this. This salad is a must try for any tomato lover! 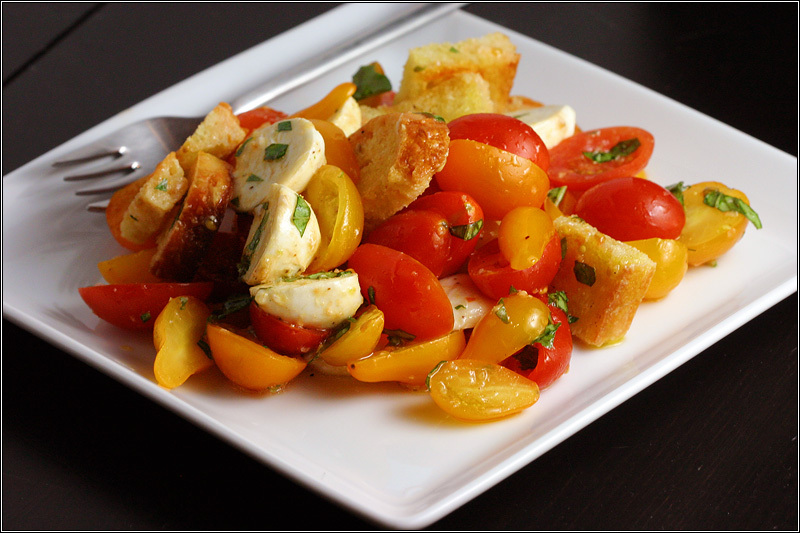 Toss the cherry tomatoes, bocconcini, basil, and ¼ cup olive oil in a bowl. Season with salt and pepper according to your own tastes and toss to coat. Brush each slice of bread with remaining olive oil, rub with cut end of the garlic clove, and sprinkle with salt. Bake 10-12 minutes, until crispy. Cut toast into 1×1 inch pieces and toss with the salad just before serving. 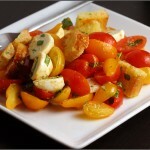 For a more attractive presentation and complex flavor, use different varieties (and colors) of small tomatoes.